Imagine, you’re coming off a harsh break-up and are leaning on your friends for support. Naturally, to get your mind off “him” and in an attempt to appease your best friend, you sign-up for a new online dating site named Flirtual, where you meet several attractive men. “One nail drives-out the other”, they say. Little do your friends know that they are throwing you right into the grasp of a killer who is searching for his ideal of “perfection” and thinks he may have found it in you. 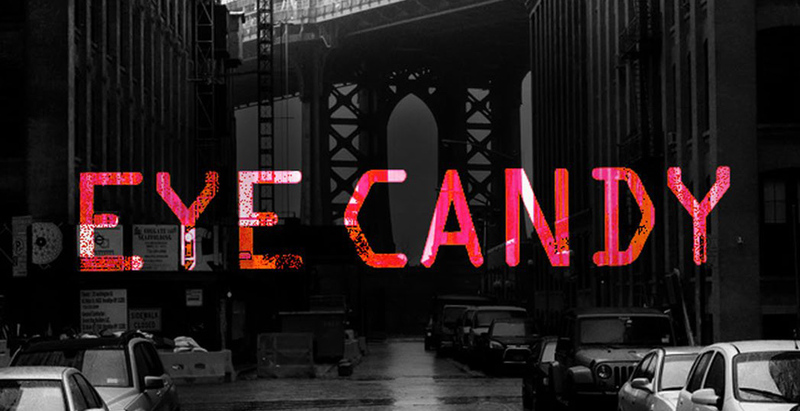 That is what the new MTV thriller series, “Eye Candy” is about. When it first premiered on January 12, 2015, it was created for a young fan based due to the MTV’s casting of a familiar face. The TV series stars Victoria Justice (Former Nickelodeon star who played in “Victorious”) who plays Lindy Sampson; a tech genus who’s excellent in computer hacking. The show is about a woman (Lindy Sampson) who falls victim to the serial killer (as depicted above) who later becomes infatuated with her. Flashback: MTV sure does a spectacular job at hooking the audiences’ attention in the first twenty minutes of the first episode; we become a witness to the abduction of Lindy’s younger sister Sara (played by Jordyn DiNatale). Lindy, a star at MIT at the time, is dealing with a rebellious sister who is also juggling her own life, as well as her fathers drug addiction. So when her sister is abducted from a fast food restaurant, Lindy goes berserk, drops out of MIT and focuses solely on the one thing that matters to her, finding her sister. Fast forward: Two years later, Lindy is living with her roommate Sophia (played by Kiersey Clemons.) Sophia, a person who loves to make her friends happy, urges Lindy to start online dating, and even signs her up her self, with a name as cheesy as can be, “Eye Candy.” Soon she meets a plethora of young men who seem “normal”, until you get to know them and realize that one in particular is a stalker and killer. She soon begins her own investigation, and it is not until a death of one of her dates from the Flirtual, that she is forced to involve the cops. Soon NYPD’s Cyber Crimes Unit are faced with a shocking reality, people all over New York are being killed & made unidentifiable by their killer. The common denominator? Each has a Flirtual account, and each has something to hide. I highly recommend this show due to the irrefutable fact that it is one of the most original shows that relates to teens/young adults today. Since we are entering an age of technological dominance, this is a grim reality we will soon face. From the moment the series unveiled, it’s kept audiences engaged because we are faced with the daunting reality that this could be you; this fictional reality could be occurring right now in our own hometown. If you are interested in watching Eye Candy and following up on Lindy’s courage endeavor to find the killer, tune into “Eye Candy” Monday’s at 10/9 central. Also if you are looking to catch up on this ground braking new series, you can do so by logging on to MTV.com and the MTV app. I can assure you, it is well worth the time you spend watching it.